You must know by now that choosing a domain name for the first time takes more than just a single minute of research. 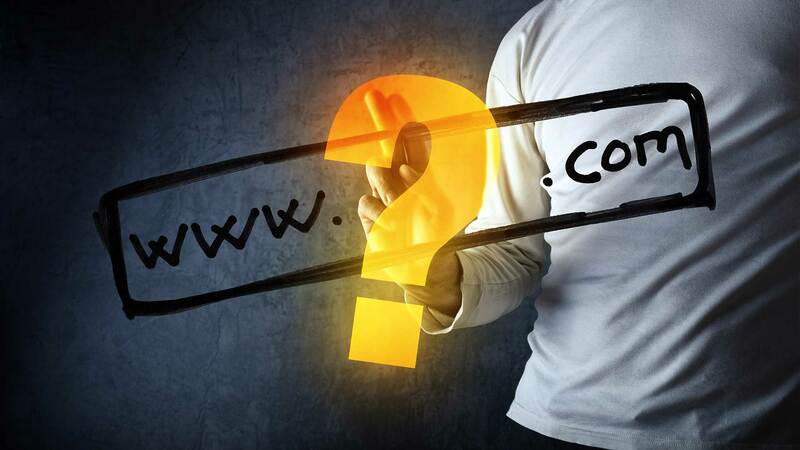 When setting up your website, one of the most vital parts of it will be choosing a domain name. It’s a name that should stick with you for your site’s lifetime. Take note that while changing the purpose of your website, its design, and text content are possible, its domain name will be forever – unless you scrap it and do a redirect. Perhaps the easiest way to get a domain name is to choose one that matches your site’s actual name. It’s superfluous but so many first-timers forget to match the site. The worst thing that can happen is coming up with an awesome name only to find that it’s a bad match simply because it doesn’t match the name of your site. For instance, if you have a candy manufacturing business, don’t call your website coolstuff.com. No one will have a clue what your website is, if they do, chances are it won’t be accurate. Call it candyfactory.com, or even sweetstuff.com. You can optimize your name for search engines to get boosted marketing efficacy. If you use one or two of the most important keywords you will ever have, the chances of acquiring a higher rank on search engine results are possible. Increased traffic means more chances for sales and profit. Lastly, and perhaps, more importantly, is the availability of your chosen name. For this, you can use “WhoIs” a domain name check utility. It’s a search database list of every single domain that’s registered in the world. To know who owns a specific domain name, all you need to do is type it into a search box on a website that offers the service. If your capital can afford it, you can consider buying as many variations of your domain name as possible, which effectively prevents other people from claiming them while allowing you to capture more leads who type your domain name incorrectly with .info, .net, .org, etc. as it’ll all just redirect to your primary website. After setting for a domain name, it is vital to define your brand across all platforms. Having the same brand name for your social media accounts (Facebook, Twitter, Instagram, LinkedIn, etc.) will benefit your marketing and branding strategy tremendously. For instance, if your domain is candyfactory.com, it’ll be easier for your clients to find you on social media and elsewhere if you have the same exact names across different channels. Researching an available domain – much like choosing a good name that’s appropriate for your brand is a complicated business, to say the least, but with the tips above, you’ll find it easier to get the name you want for the right reasons. Best of luck on finding the domain for your business!